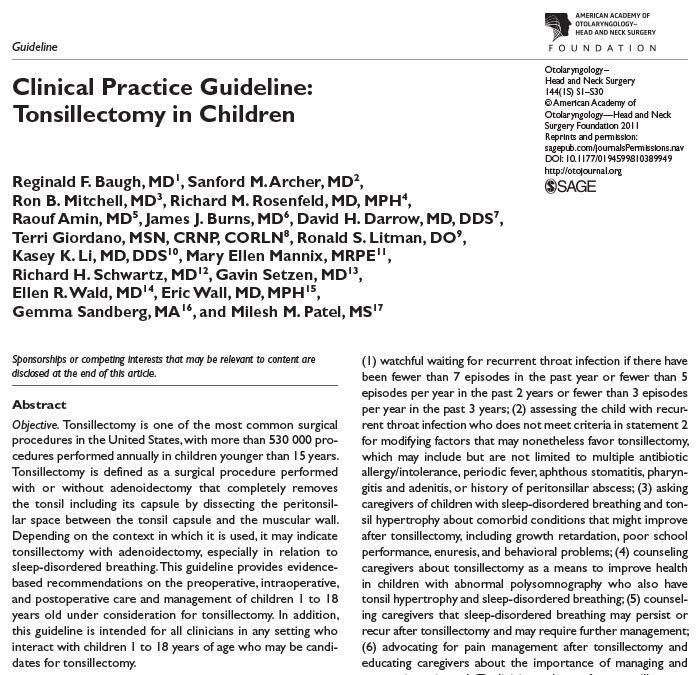 Tonsil and adenoid surgery is recommended for children typically for either recurrent tonsillitis or symptomatic sleep disordered breathing. 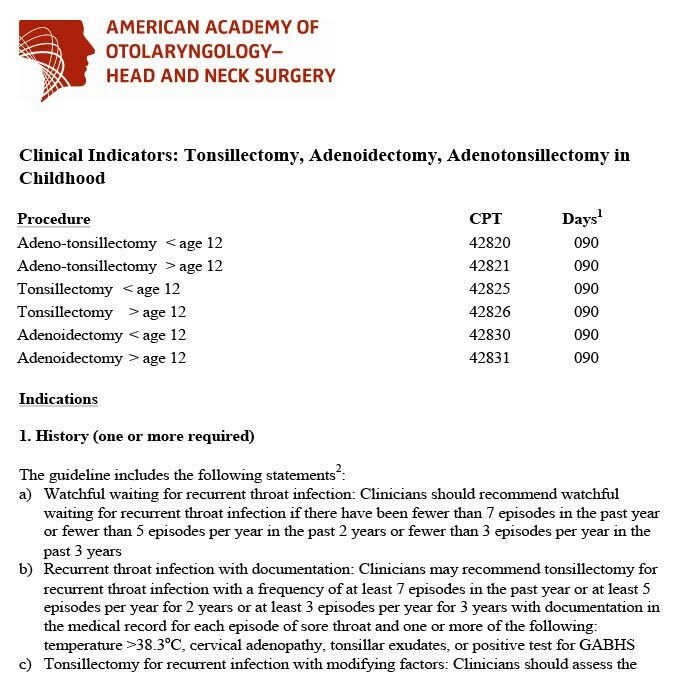 With tonsillitis if a child has more than 7 episodes of tonsillitis a year, 5 episodes in 2 years or 3 episodes in 3 years then they are a candidate for an operation. If a child snores and has disturbed sleep (movement or sweatiness) along with day time symptoms such as tiredness, poor concentration and anxiety then they may have sleep disordered breathing and should be assessed. 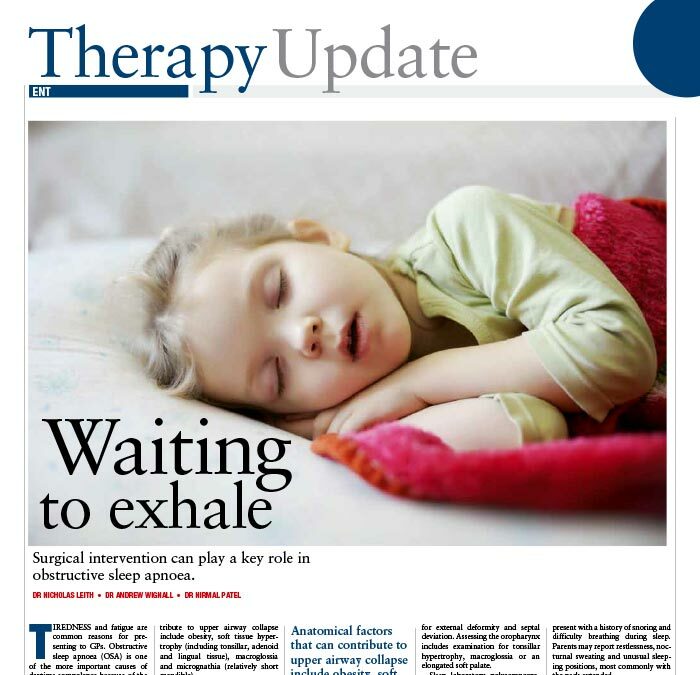 Nasal Surgery in Children to address the adenoids and/ or turbinates is typically day surgery performed under general anesthesia. Pain management and time off school is required for 1-3 days, with 2-3 weeks off sport and heavy physical activities to reduce the risk of post-operative bleeding. If tonsillectomy is required, then this is usually performed as day surgery over 4 years of age and overnight if 3 and under. Pain management is required for 5-10 days, with usually a week off school. Again 2-3 weeks off sport and heavy physical activities, is recommended to reduce the risk of post-operative bleeding. Got a question you would like to ask Dr Nirmal Patel?